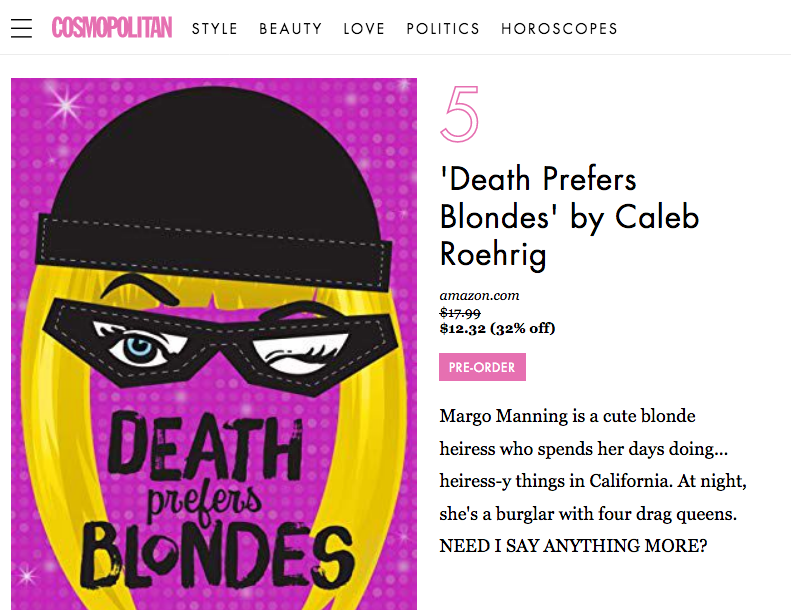 The actual factual Cosmopolitan Magazine printed a list of the “11 books you’ll be obsessed with in 2019” and Death Prefers Blondes was number five. I am still not over it. ← Death Prefers Blondes Tour!